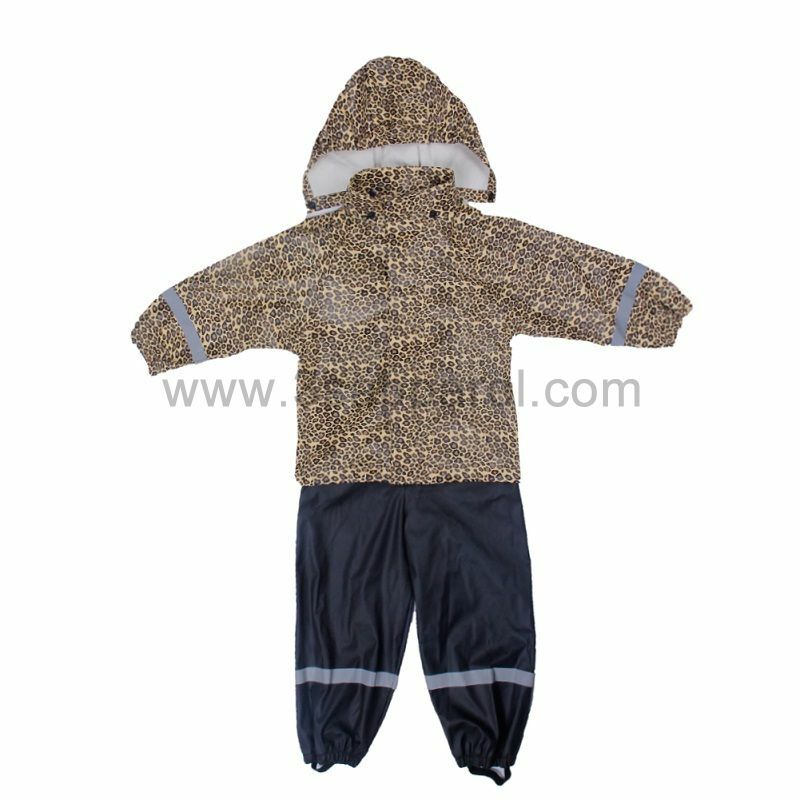 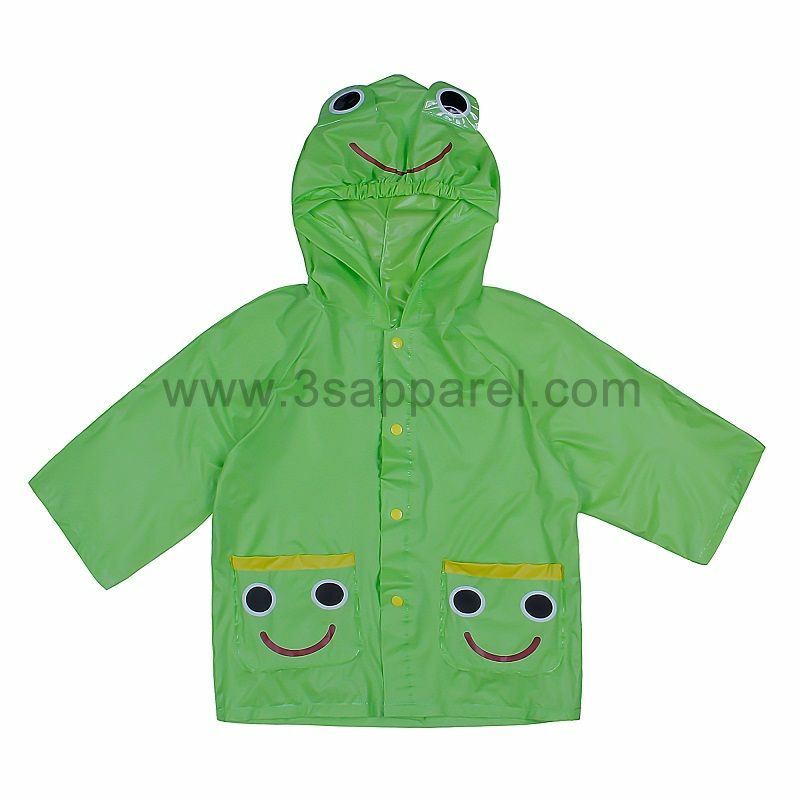 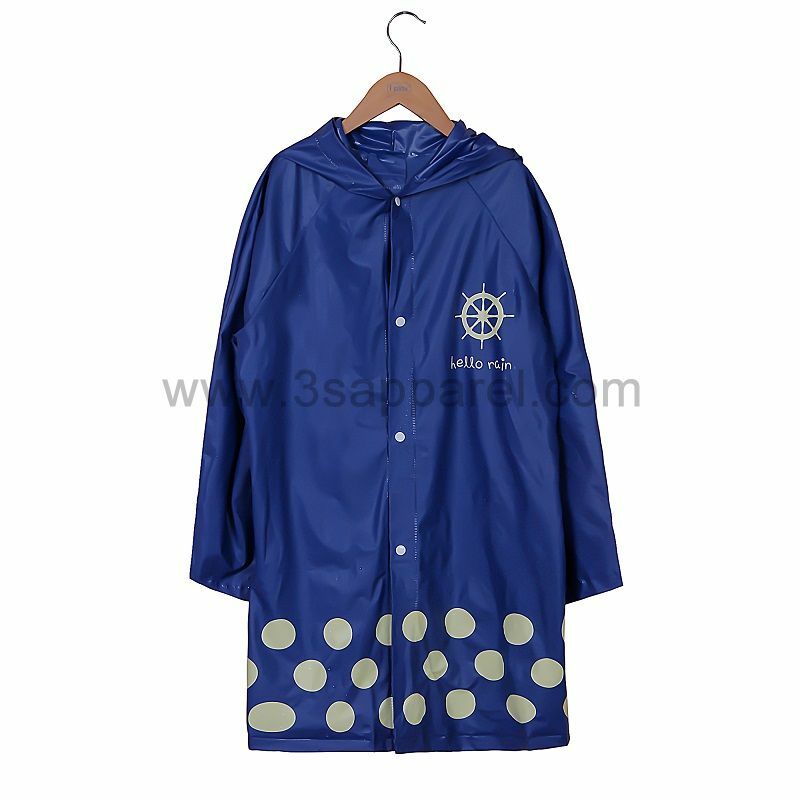 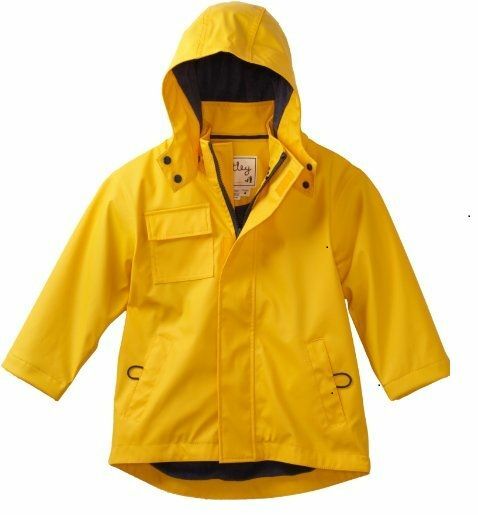 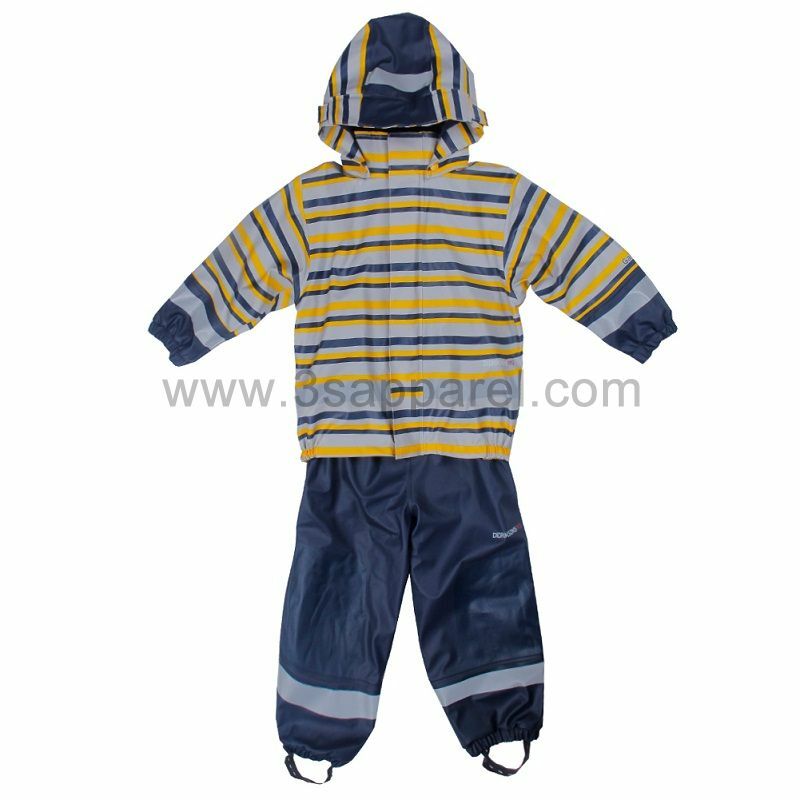 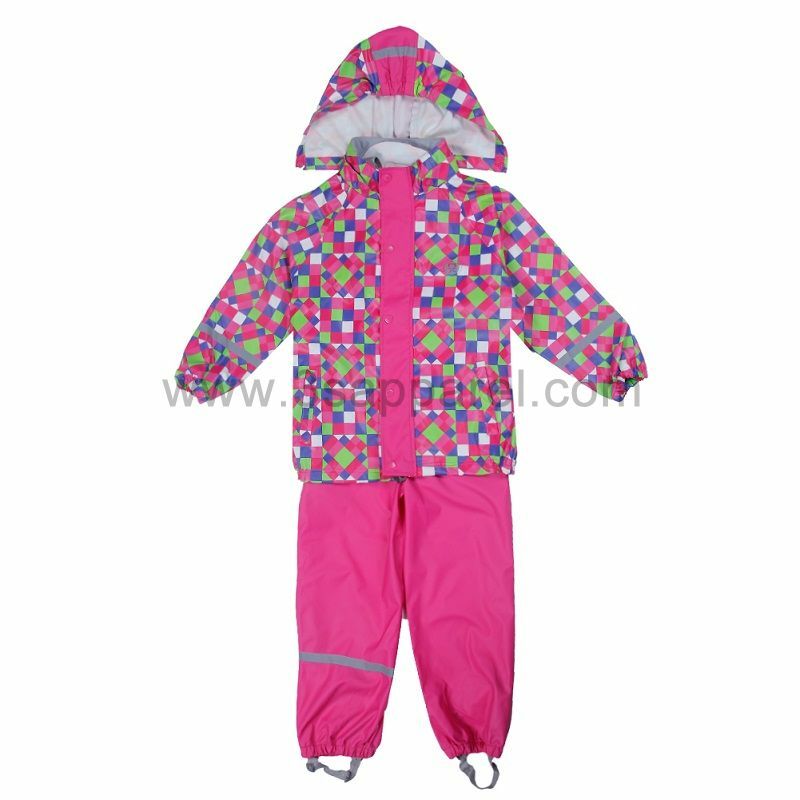 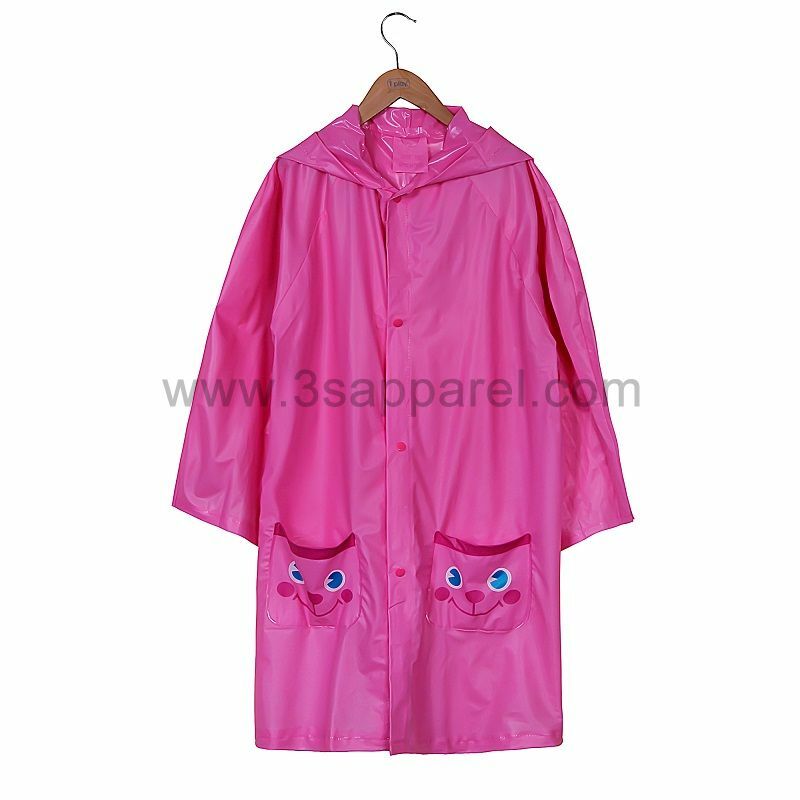 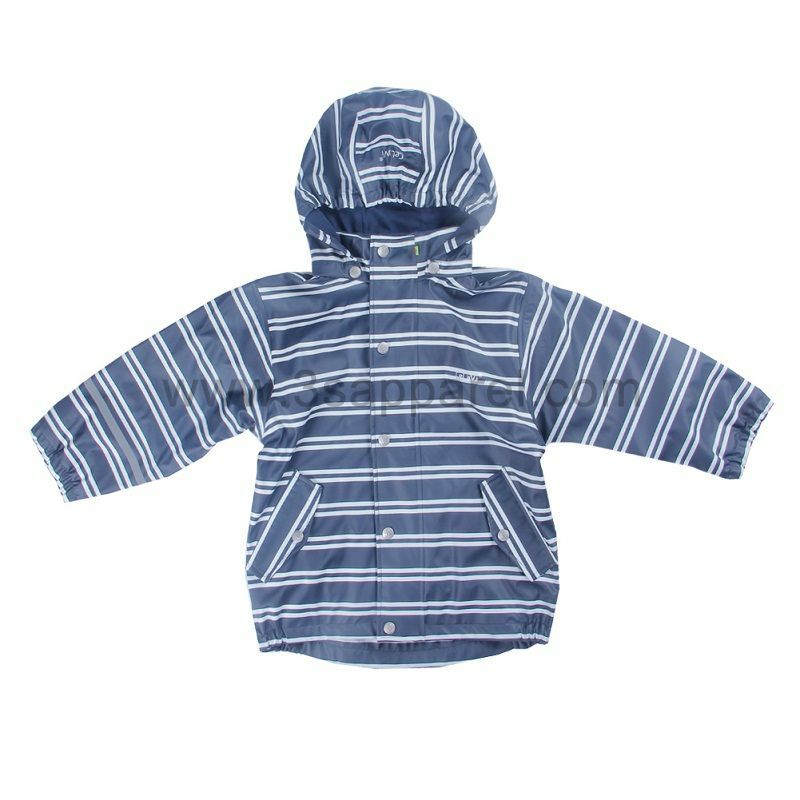 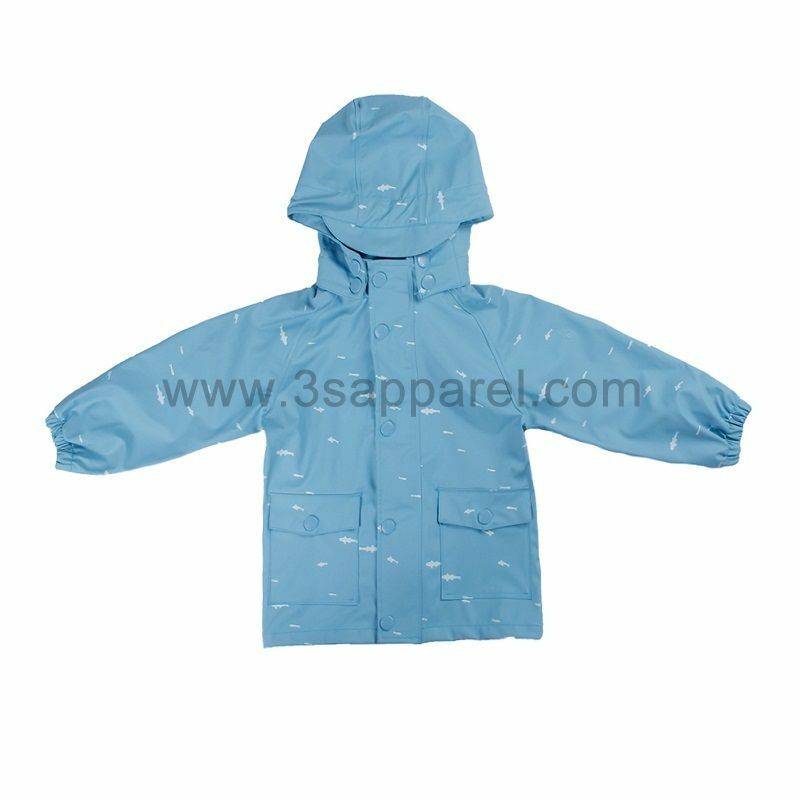 DESCRIPTION: Our jacket can make your body warm and dry in a rain day. 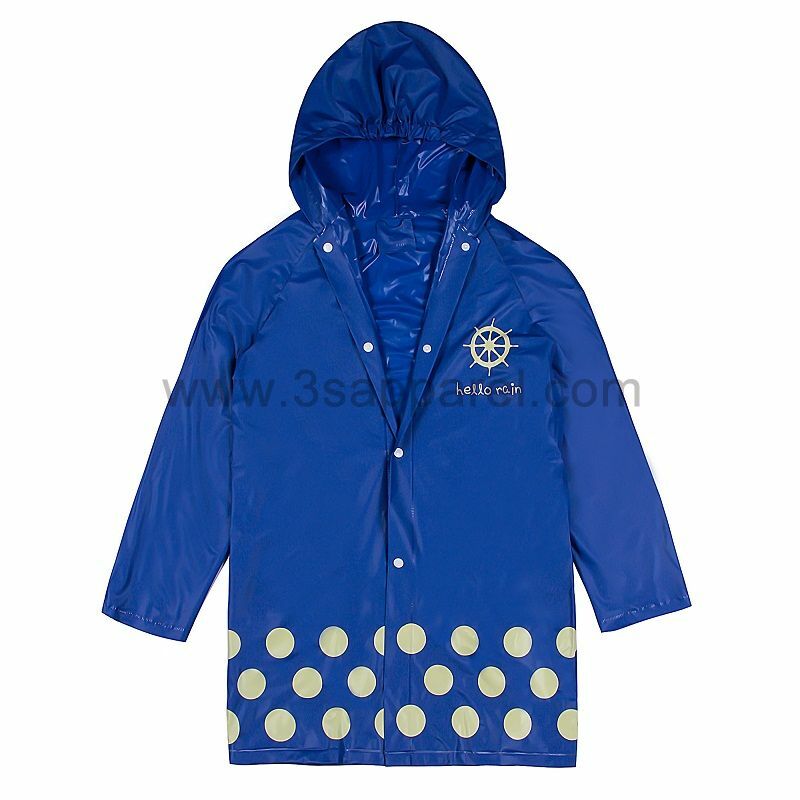 The white print and dots will be very visible when the light is dark and keep your safety. 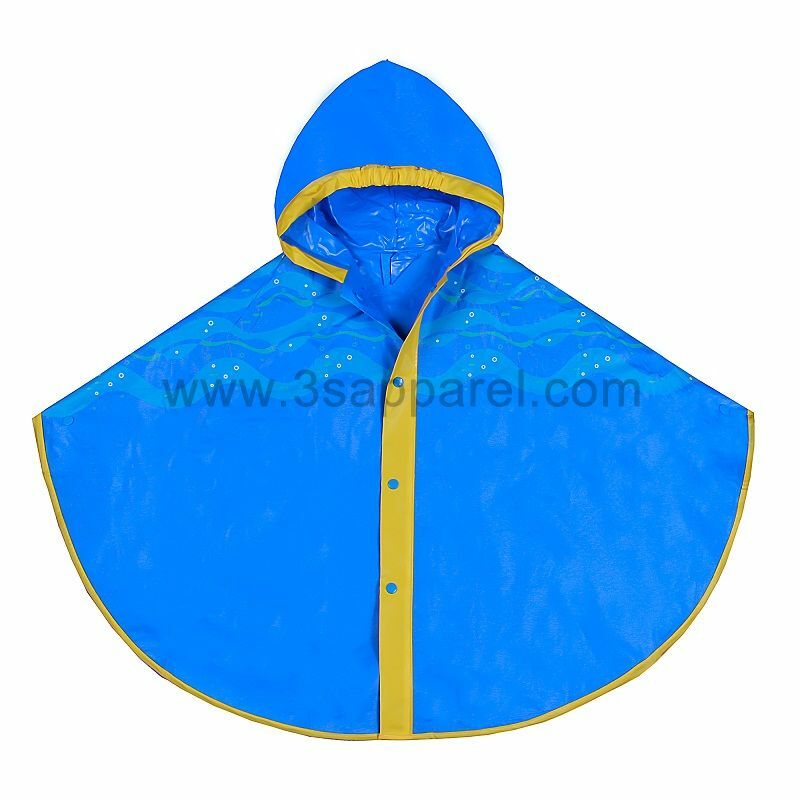 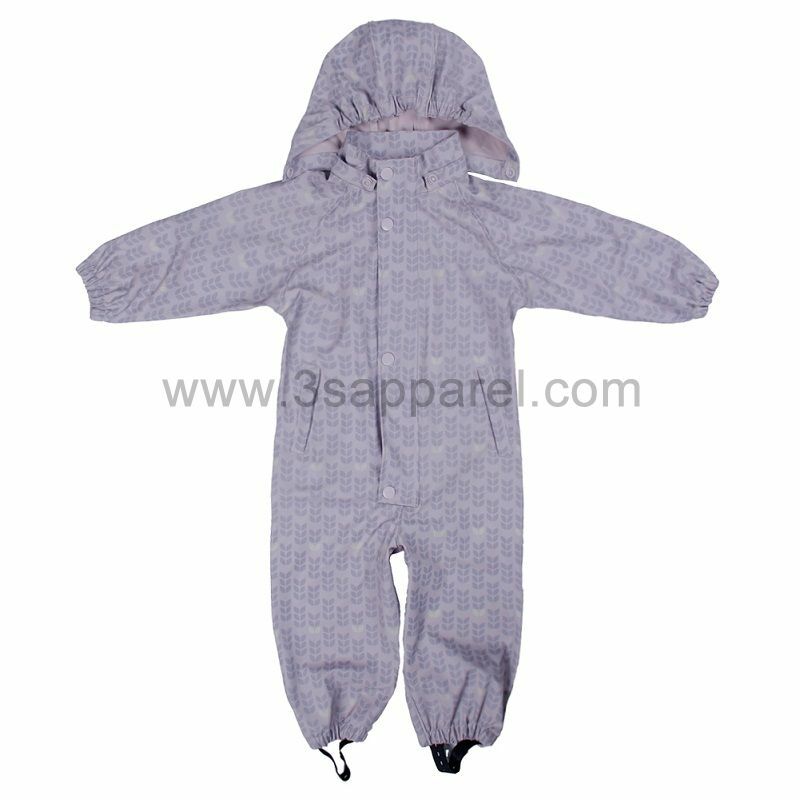 The hood elastic make your hood tight and will not be blow off easily by wind.